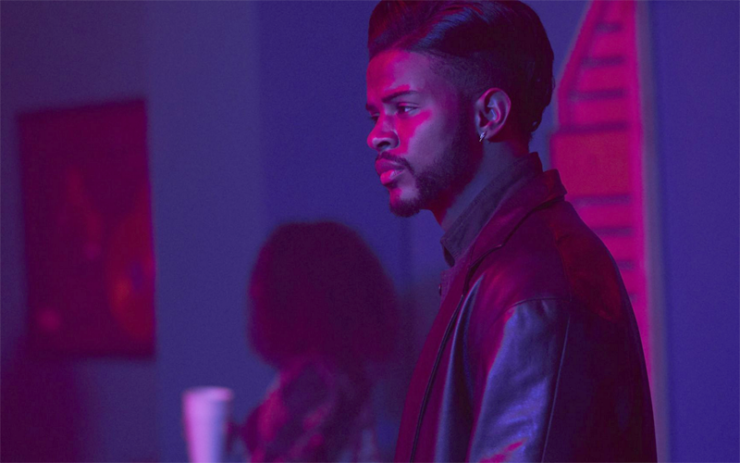 Trevor Jackson stars in new Superfly movie. In this 2018 revamp, Curtis Mayfield’s soulful, symphonic music (“Pusherman,” “Superfly”) is replaced with a thirteen record soundtrack from the rapper, Future. The visionary Gordon Parks Jr. directed the original film; this time around the visuals are entrusted to Director X, the successful rap video director responsible for Drake’s “Hotline Bling” and Kendrick Lamar’s “King Kunta” videos. But perhaps the closest, more obvious comparison to the 1972 blaxploitation flick is the lead actor in the role of Priest, played by Trevor Jackson. With the “Grown-ish” star as the title character, audiences are assured the same visually pleasing aesthetics as Ron O’Neal: good looks, great hair, and a superfly style. “Superfly” tells the story of Youngblood Priest, a dealer in Atlanta, who has crafted an empire of hustlers only to be challenged by a rival gang. Like the original film, Priest is looking for one last big score with the idea of leaving the game. Think action film. “Superfly” features Jason Mitchell from “Straight Outta Compton,” “Boardwalk Empire” star Michael Kenneth Williams, and Lex Scott Davis as Georgia. Actually a good movie and it has a cool but not overbearing style. I was expecting it to be a total failure, but it is a strong and confident film. Realistically it could have been given another title and still stand strong alone. I’m a film critic and I give this a B. Maybe they should do a sequel.